Turck has expanded its RFID offering with an economical UHF handheld device. 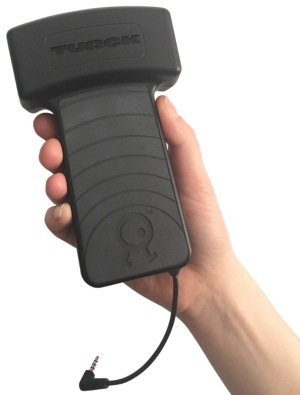 The PD-IDENT handheld provides a lightweight, easy-to-use smartphone RFID reader system. This device houses a UHF antenna and connects to the user's smartphone via the audio port. Also provided by Turck is a basic, multipurpose Turck RFID app for iOS and Android mobile devices. The PD-IDENT measures at 159 x 95 x 39 millimeters, easily allowing it to fit in the palm of your hand. Additionally, the PD-IDENT allows for the accommodation of a multitude of smartphone designs. The solution also comes equipped with a lithium-Ion battery, which will last up to two hours of active scanning on a charge. Thanks to a partnership between Turck and U Grok It, this solution was made possible and builds upon the core expertises of both companies. 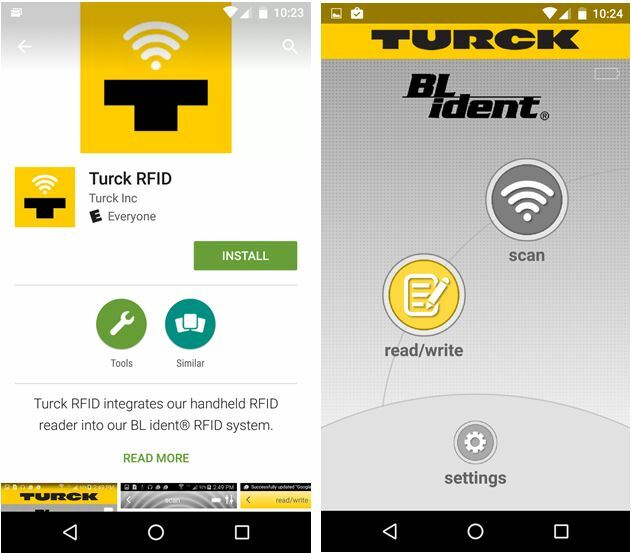 "Using the handheld reader, our customers will be able to track, control, and manage their RFID applications better than ever," said Randy Durick, Vice President of Fieldbus Technology at Turck. "This partnership allows Turck to provide an adaptable, economical UHF handheld solution for our customers and we look forward to our long-term partnership with U Grok It."